This vintage brass cricket box is tarnished to perfection. The aged box has a latch attached to the front and could be locked to hold your keepsakes or our critters. Chinese traditionally kept crickets, cicadas or grasshoppers in pierced boxes like this. The critters were kept for the sounds they made and the good luck they provided. 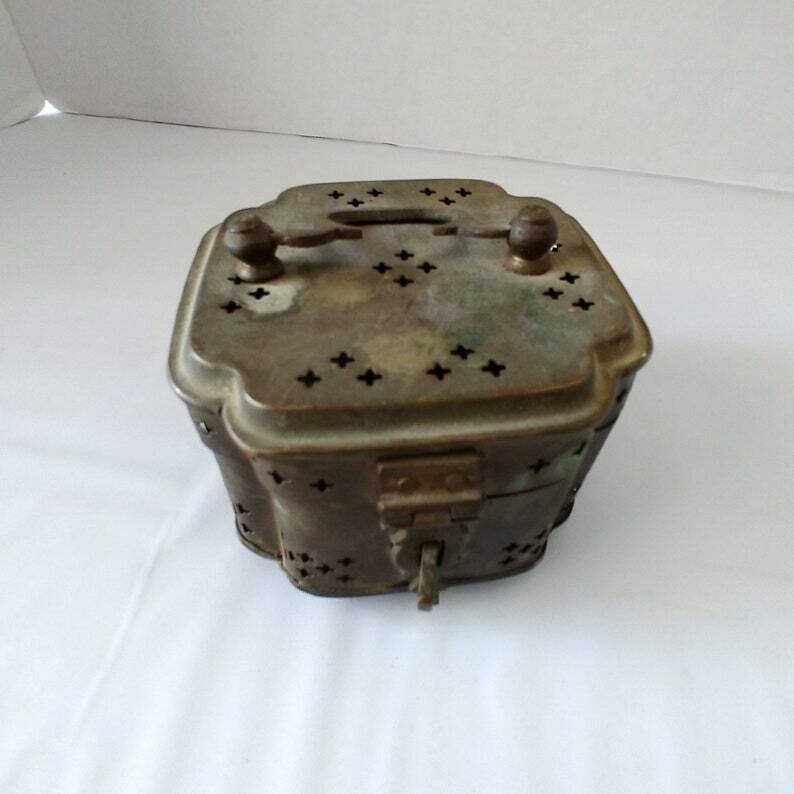 This scalloped square-shaped box is made of brass and has a handle for carrying. The box is 4.25 inches wide by 4.25 inches long and stands at 2.75 inches tall. CONDITION: The box functions properly. It is sold as is in its tarnished condition and aged patina.